SMC Corporation was founded in Tokyo in 1959. The company started with the manufacture and sale of industrial filters. In a very short term SMC Pneumatic has become the world leader in the field of pneumatic technology. 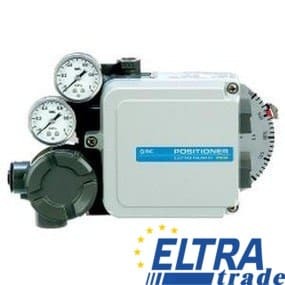 The most modern developments in the field of automation use exclusively high-quality pneumatic devices and components. In the automotive automation market in Japan, SMC is a constant leader, its products account for about 61% of the total market. The company has 17 plants that are located throughout the territory of Japan and the distribution network is represented by 64 and 92 units of local distributors. About 1000 engineers and designers work in the center of development and research in Tsukuba. In America and Europe the company is in the top three of the best producers. On the world market it holds about 33 per cent and significantly ahead of its nearest competitors. The annual turnover is more than 4 billion dollars. The company's high stability and prospects are confirmed by its 49th position in the ranking of Forbes magazine. The range of equipment that the company produces is very large and contains about 11,000 main products and more than 630000 variations of their performance. Annually SMC creates about 100 modifications and components. All equipment and devices of SMC company are highly reliable and meet the requirements of world standards of quality and safety, all equipment is certified.